I've had a lot of fun tinkering with the Merry Moments Designer Series Paper. 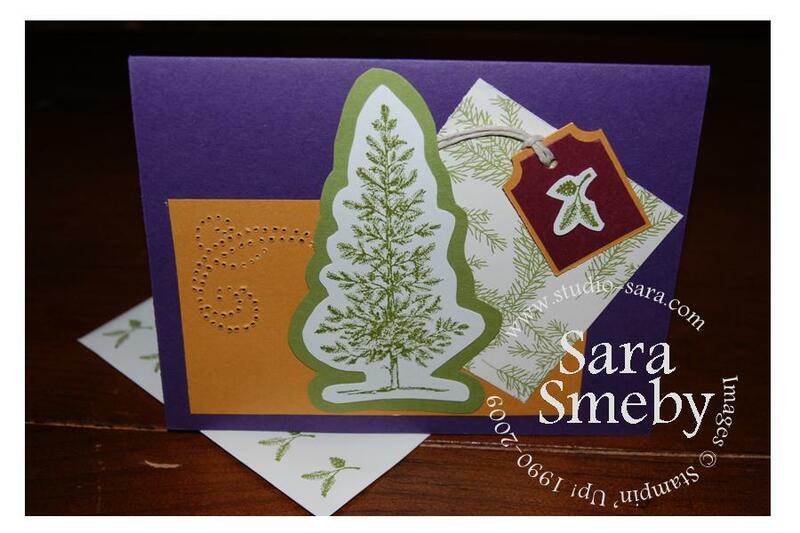 One of my favorite designs is the evergreen boughs. For the sketch this Sunday, I opted to use my Number One Go-To Set, "Lovely as a Tree" for the focal point. For fun, I chose non-traditional colors (using my Color Coach; you know how bad I am with color!). Finally, I stamped the flourish stamp (it's to signify wind blowing) from the "Snow Buddies" set on the backside of the More Mustard card stock and used that as my guide to pierce the design to the left of the pine tree. I am going to make several of this card, as it will be useful for "Thank You!" notes, cards for the men in my life, etc. Truthfully, it doesn't even have to be for Christmas giving! Love your card and the colors you used. Very cute. 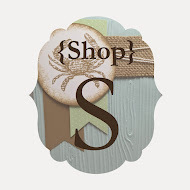 I just purchased that SU paper pack! This is a great one for any man in your life. Great card! Thanks for playing with the sketch this week! Gorgeous card... I've never thought to cut out trees but I really like it!!! Thanks for enabling me! Gorgeous card... love how you cut out the tree!! !